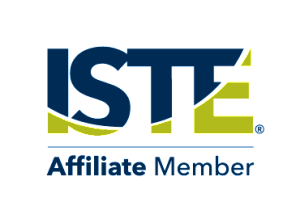 You are invited to join Connection, NH School Connectivity Initiative, and Aruba for the Everything You Want to Know about E-Rate but Were Afraid to File briefing. E-Rate Channel Manager of Aruba, Juan Rodriguez, will cover an array of topics pertaining to E-Rate including the benefits of filing for funding, discovering what qualifies for funding, and new technology. We hope to see you there! Join us. It’s free! Graduate Credit options are available through New England College and Plymouth State University. 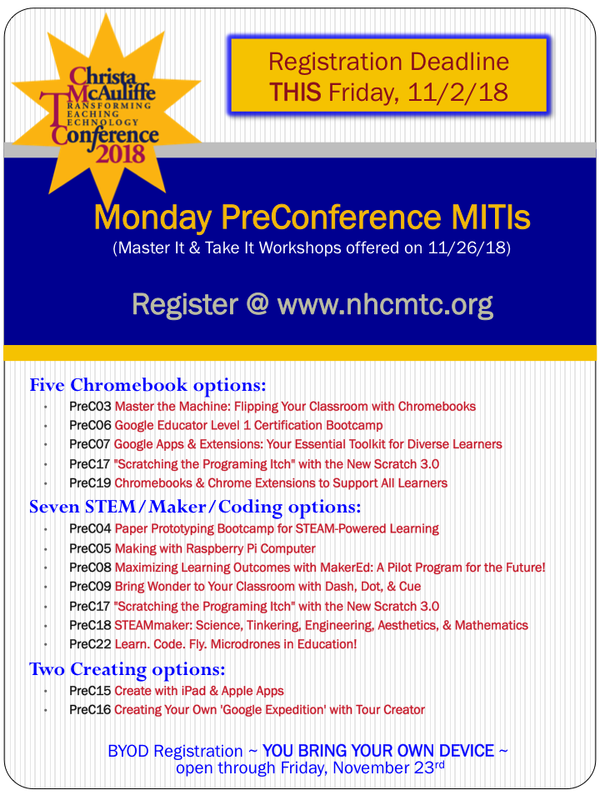 If you are planning on registering for one of our PreConference MITIs, the deadline is the Friday... 11/2/18! NHSTE Awards Nominations are Now Open! 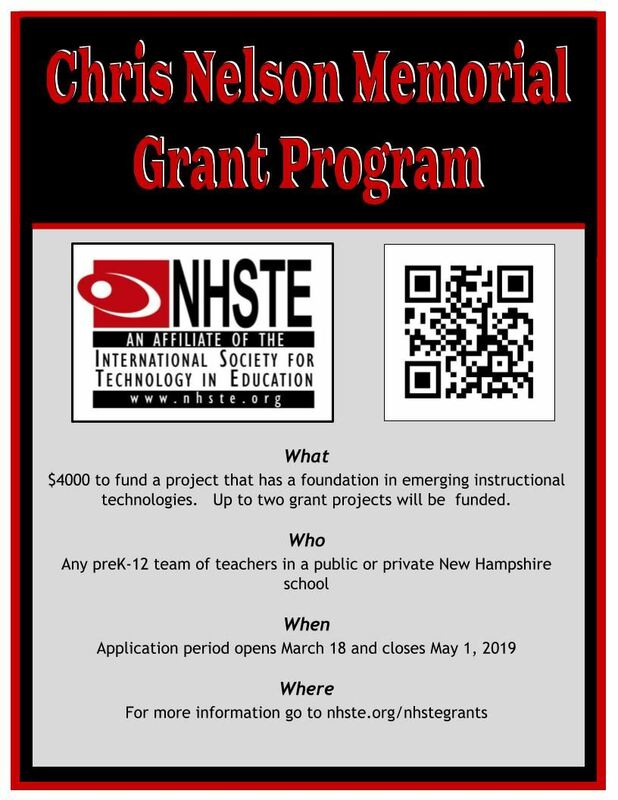 The NHSTE Pat Keyes and Susan Janosz Award nominations are now open! Do you have a teacher or teacher leader in your school who should be acknowledged for their contributions to your school, students, faculty, and school culture? This is the ideal channel to let them know their efforts are appreciated.